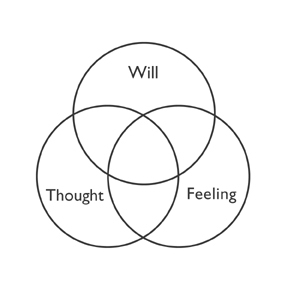 Free Will: fact, faith or philosophy? 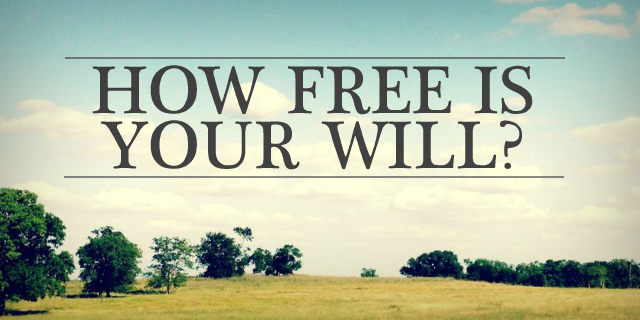 Free will is the ability of agents to make choices unimpeded. Factors that might impede choice include metaphysical constraints (particularly forms of determinism such as logical, physical, biological, social or theological determinism), physical constraints (such as the requirements of the laws of science), social constraints (such as threat of punishment, censure, or imprisonment), and mental constraints (such as compulsions or phobias, neurological disorders, or genetic predispositions). The principle of free will has religious, legal, ethical, and scientific implications. For example, in the religious realm, free will implies that individual will and choices can coexist with an omnipotent, omniscient divinity that raises certain injunctions or moral obligations for man. In the law, it affects considerations of punishment and rehabilitation. In ethics, it may hold implications for whether individuals can be held morally accountable for their actions. In science, neuroscientific findings regarding free will may suggest different ways of predicting human behavior. Though it is a commonly held intuition that we have free will, it has been widely debated throughout history not only whether that is true, but even how to define the concept of free will. 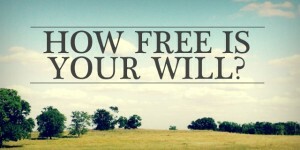 How exactly must the will be free, what exactly must the will be free from, in order for us to have free will? 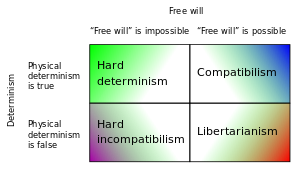 Historically, the constraint of dominant concern has been determinism of some variety (such as logical, nomological, or theological), so the two most prominent common positions are named incompatibilist or compatibilist for the relation they hold to exist between free will and determinism. Those who find free will cannot coexist with determinism are called incompatibilists, as they hold determinism to be incompatible with free will. The two main incompatibilist positions are metaphysical libertarianism, the claim that determinism is false and thus free will is at least possible; and hard determinism, the claim that determinism is true and thus free will is not possible. The view that denies both that the universe is determined and that free will exists, while logically possible, has no adherents. Those who find free will can coexist with determinism, are called compatibilists, because they hold determinism to be compatible with free will. Some compatibilists even hold that determinism is necessary for free will, arguing that choice involves preference for one course of action over another, a process that requires some sense of how choices will turn out. Compatibilists thus consider the debate between libertarians and hard determinists over free will vs. determinism a false dilemma. Different compatibilists offer very different definitions of what free will even means, and consequently find different types of constraints to be relevant to the issue. Because all compatibilists agree that determinism is not the relevant concern, they are traditionally grouped together under this common name. The underlying issue is: Do we have some control over our actions, and if so, what sort of control, and to what extent? These questions predate the early Greek stoics (for example, Chrysippus), and some modern philosophers lament the lack of progress over all these millennia. ~~~ On one hand, humans have a strong sense of freedom, which leads us to believe that we have free will. 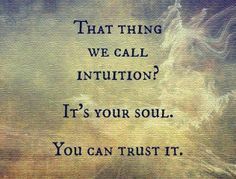 ~~~ On the other hand, an intuitive feeling of free will could be mistaken. It is difficult to reconcile the intuitive evidence that conscious decisions are causally effective with the scientific view that the physical world can be explained to operate perfectly by physical law. The conflict between intuitively felt freedom and natural law arises when either causal closure or physical determinism (nomological determinism) is asserted. With causal closure, no physical event has a cause outside the physical domain, and with physical determinism, the future is determined entirely by preceding events (cause and effect). The puzzle of reconciling ‘free will’ with a deterministic universe is known as the problem of free will or sometimes referred to as the dilemma of determinism. This dilemma leads to a moral dilemma as well: How are we to assign responsibility for our actions if they are caused entirely by past events? Historically, most of the philosophical effort invested in resolving the dilemma has taken the form of close examination of definitions and ambiguities in the concepts designated by “free”, “freedom”, “will”, “choice” and so forth. Defining ‘free will‘ often revolves around the meaning of phrases like “ability to do otherwise” or “alternative possibilities”. This emphasis upon words has led some philosophers to claim the problem is merely verbal and thus a pseudo-problem. In response, others point out the complexity of decision making and the importance of nuances in the terminology. Below, some of these positions are outlined. Metaphysical libertarianism posits that free will does exist, and therefore any definition of determinism that precludes it is false. 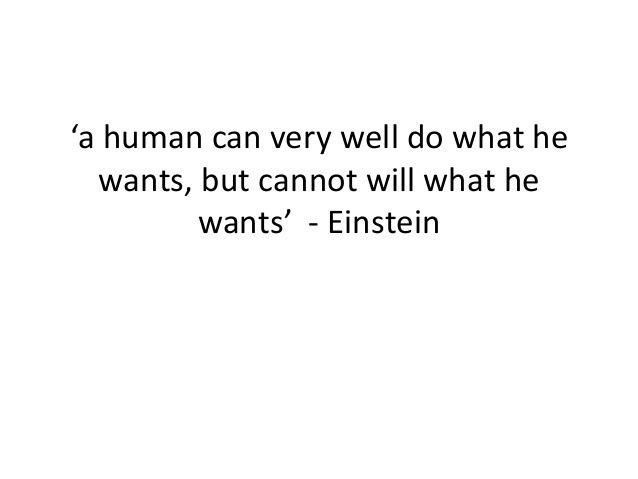 This view is one of several non-materialist constructions, including the popular claim of being able to consciously veto an action or competing desire. Classical compatibilists have addressed the dilemma of free will by arguing that free will holds as long as we are not externally constrained or coerced. Modern compatibilists make a distinction between freedom of will and freedom of action, that is, separating freedom of choice from the freedom to enact it. Given that humans all experience a sense of free will, some modern compatibilists think it is necessary to accommodate this intuition. For example, some modern compatibilists in psychology have tried to revive traditionally accepted struggles of free will with the formation of character. 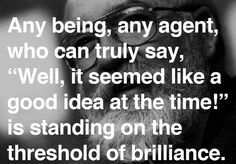 Compatibilist free will has also been attributed to our natural sense of agency, where one must believe they are an agent in order to function and develop a theory of mind. A different approach to the dilemma is that of incompatibilists, namely, that if the world is deterministic then, our feeling that we are free to choose an action is simply an illusion. Fundamental debate continues over whether the physical universe is in fact deterministic. Physical models offered at present are both deterministic and indeterministic, and are subject to interpretations of quantum mechanics – which themselves are being constrained by ongoing experimentation. Yet even with physical indeterminism, arguments have been made against the feasibility of incompatibilist free will in that it is difficult to assign Origination (responsibility for “free” indeterministic choices). This view was universally embraced by both incompatibilists and compatibilists. Free will here is predominately treated with respect to physical determinism in the strict sense of nomological determinism, although other forms of determinism are also relevant to free will. For example, logical and theological determinism challenge metaphysical libertarianism with ideas of destiny and fate, and biological, cultural and psychological determinism feed the development of compatibilist models. Separate classes of compatibilism and incompatibilism may even be formed to represent these. Classic arguments bearing upon the dilemma and its underpinnings. Incompatibilism is the position that free will and determinism are logically incompatible, and that the major question regarding whether or not people have free will is thus whether or not their actions are determined. “Hard determinists”, such as d’Holbach, are those incompatibilists who accept determinism and reject free will. In contrast, “metaphysical libertarians”, such as Thomas Reid, Peter van Inwagen, and Robert Kane, are those incompatibilists who accept free will and deny determinism, holding the view that some form of indeterminism is true Another view is that of hard incompatibilists, which state that free will is incompatible with both determinism and indeterminism. Traditional arguments for incompatibilism are based on an “intuition pump”: if a person is like other mechanical things that are determined in their behavior such as a wind-up toy, a billiard ball, a puppet, or a robot, then people must not have free will. This argument has been rejected by compatibilists such as Daniel Dennett on the grounds that, even if humans have something in common with these things, it remains possible and plausible that we are different from such objects in important ways. Another argument for incompatibilism is that of the “causal chain”. Incompatibilism is key to the idealist theory of free will. Most incompatibilists reject the idea that freedom of action consists simply in “voluntary” behavior. They insist, rather, that free will means that man must be the “ultimate” or “originating” cause of his actions. He must be causa sui, in the traditional phrase. 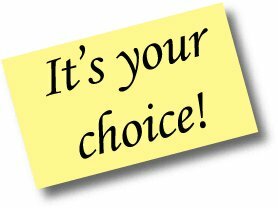 Being responsible for one’s choices is the first cause of those choices, where first cause means that there is no antecedent cause of that cause. The argument, then, is that if man has free will, then man is the ultimate cause of his actions. Determinism is a broad term with a variety of meanings. Corresponding to each of these different meanings, there arises a different problem for free will. Hard determinism is the claim that determinism is true, and that it is incompatible with free will, so free will does not exist. Although hard determinism generally refers to nomological determinism (see causal determinism below), it can include all forms of determinism that necessitate the future in its entirety. If determinism is true, then all of man’s choices are caused by events and facts outside his control. So, if everything man does is caused by events and facts outside his control, then he cannot be the ultimate cause of his actions. 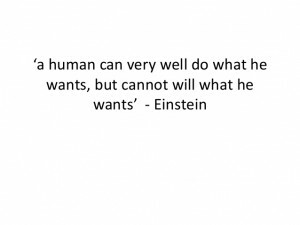 Therefore, he cannot have free will. This argument has also been challenged by various compatibilist philosophers. Einstein would of course say that choice is the wrong word to use; rather, the brain is a complex machine with cogs whirring round to produce a predictable action. Strict determinism may be the only way to avoid the implication from quantum mechanics and experiments such as the delayed choice experiment. This experiment suggests that quantum communications occur instantaneously across any distance, or even travel backwards in time. The determinist is not yet defeated, quantum mechanics comes with a state of collapse and that seems to be linked to measurement. Whatever measurements are, they are very specific situations and probably linked to what happens when a particle bumps into a measuring device. Causal determinism — the idea that everything is caused by prior conditions, making it impossible for anything else to happen. In its most common form, nomological (or scientific) determinism, future events are necessitated by past and present events combined with the laws of nature. Such determinism is sometimes illustrated by the thought experiment of Laplace’s demon. Imagine an entity that knows all facts about the past and the present, and knows all natural laws that govern the universe. If the laws of nature were determinate, then such an entity would be able to use this knowledge to foresee the future, down to the smallest detail. Logical determinism — the notion that all propositions, whether about the past, present or future, are either true or false. The problem of free will, in this context, is the problem of how choices can be free, given that what one does in the future is already determined as true or false in the present. Theological determinism — the idea that the future is already determined, either by a creator deity decreeing or knowing its outcome in advance. The problem of free will, in this context, is the problem of how our actions can be free if there is a being who has determined them for us in advance, or if they are already set in time. Other forms of determinism are more relevant to compatibilism, such as biological determinism, the idea that all behaviors, beliefs, and desires are fixed by our genetic endowment and our biochemical makeup, the latter of which is affected by both genes and environment, cultural determinism and psychological determinism. Combinations and syntheses of determinist theses, such as bio-environmental determinism, are even more common. The theological doctrine of divine foreknowledge is often alleged to be in conflict with free will, particularly in Reformed circles — for if God knows exactly what will happen, right down to every choice, that calls into question the status of choices as free. If God has timelessly true knowledge about one’s choices, this seems to constrain individual freedom. This problem is related to the Aristotelian problem of the sea battle: tomorrow there will or will not be a sea battle. 1] If there will be one, then it seems that it was true yesterday that there would be one. Then it would be necessary that the sea battle will occur. 2] If there won’t be one, then by similar reasoning, it is necessary that it won’t occur. This means that the future, whatever it is, is completely fixed by past truths—true propositions about the future. However, some philosophers follow William of Ockham in holding that necessity and possibility are defined with respect to a given point in time and a given matrix of empirical circumstances, and so something that is merely possible from the perspective of one observer may be necessary from the perspective of an omniscient. Some philosophers follow Philo of Alexandria, a philosopher known for his homocentrism, in holding that free will is a feature of a human’s soul, and thus that non-human animals lack free will. Some views in Jewish philosophy stress that free will is a product of the intrinsic human soul, using the word neshama (from the Hebrew root n.sh.m. or .נ.ש.מ meaning “breath”); but the ability to make a free choice is through Yechida (from Hebrew word “yachid”, יחיד, singular), the part of the soul that is united with God, the only being that is not hindered by or dependent on cause and effect (thus, freedom of will does not belong to the realm of the physical reality, and inability of natural philosophy to account for it is expected). While there are other views of free will in Judaism, most share the same basic Kabbalah principles. In Islam the theological issue is not usually how to reconcile free will with God’s foreknowledge, but with God’s jabr, or divine commanding power. al-Ash’ari developed an “acquisition” or “dual-agency” form of compatibilism, in which human free will and divine jabr were both asserted, and which became a cornerstone of the dominant Ash’ari position. In Shia Islam, Ash’aris understanding of a higher balance toward predestination is challenged by most theologians. Free will, according to Islamic doctrine is the main factor for man’s accountability in his/her actions throughout life. Actions taken by people exercising free will are counted on the Day of Judgement because they are their own; however, the free will happens with the permission of God. Alvin Plantinga’s “free will defense” is a contemporary expansion of this theme, adding how God, free will, and evil are consistent. In closing, we will walk through the path of numerology. 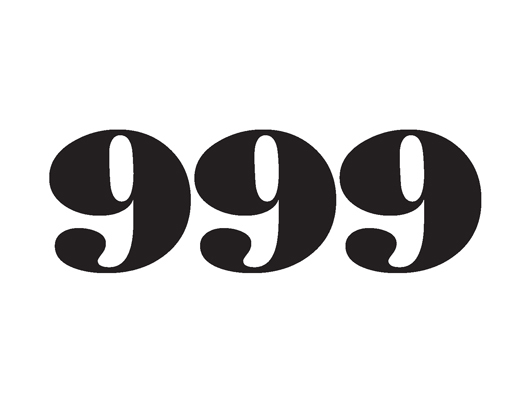 333 IS THE ULTIMATE SPIRITUAL DECISION NUMBER. IT REPRESENTS THE FINAL DIVINE IMPERATIVE. Or… if your soul has not yet garnered enough inner true spiritual Christ Light, and thus cannot achieve such final spiritual completion, then most likely you will respond to the content of this blog with reactions of fear, ridicule, mockery and negativity, recoiling from what you learn. You will continue to “worship” media figures, celebrities, movie stars, and talking heads. You will continue to live a fallen, spiritually empty and mundane existence, creating personally putrid streams of negative spiritual energy everywhere you go due to your lack of self mastery. This is the ultimate gift of God – the inherent tragedy of human freewill, wherein you can create Heaven or Hell with your own actions and decisions every minute of every day for the duration of your life. You can either use your personal creative power with spiritual sagacity and wisdom, or you can misuse it in arrogance and ignorance and become just one more man or woman who is defecating their own personal trail of ignorance and misunderstanding in life everywhere they go at all times, leaving nothing more behind you in your life than a line of chaos, your own personal debris field of psychological and emotional karmic pooh, sputtering out behind you in life, from beginning to end. Filed Under: FEATURED, WOMEN & PHILOSOPHY, WOMEN & PSYCHOLOGY, WOMEN & SPIRITUALITY Tagged With: A Celebration of Women, acelebrationofwomen.org, belief, beliefs, causal affect, choices, cultural, cultural determinism, determinism, environment, fact or philosophy?, faith or philosophy?, free will, Free Will fact faith or philosophy?, Free Will: fact, Incompatibilism, intuition, opinion, philosophy, psychological determinism, societal beliefs, societal patterns, spirituality, theory, thinking patterns, thoughts, women.